The Content Corner: Should You Stop Writing and Start Podcasting? Several months or so ago, I raised the question of whether you and your agency should be podcasting. Incidentally, my post coincided with the launch of DigitalGov’s new podcast series. As I discussed in my previous post, the long-niche broadcasting format has continued to grow in popularity and success with popular podcasts such as NPR’s Serial and Marc Maron’s WTF podcast series that recently featured President Obama as a guest. This rise in popularity and perhaps the weekly grind of creating written content made me ask the question that is the title of this week’s post: Would it be easier to just sit down in front of a microphone and speak, instead of typing all this stuff out? And in this age of TL;DR, is the medium of a podcast a more suitable vehicle for the dissemination of information as opposed to expecting people to actually read something? On the off chance that you are actually going to read this, let’s try and find some answers. As I mentioned, one of the biggest benefits of podcasting is that people are able to consume your content in a wide variety of ways and can easily fit it into their daily lives. For example, I generally listen to a podcast or two while doing a cardio workout or when mowing the lawn. It allows me to learn and consume content that I might not have time to sit down and read. Podcasts can also be great for long commutes, whether you are in the car or on public transportation. Technology within cars, such as Bluetooth, is making it easier and easier to play podcasts with little or no effort, essentially creating your own curated radio station. Regardless of what happens to mobile devices and e-readers, written content will have a hard time equalling podcasts in the portability category. I’ve mentioned before about finding the balance of a unique voice in your writing and keeping your writing tight and succinct. Podcasts, on the other hand, are almost completely driven by the personality of the hosts. Two of the most successful podcasts—This American Life and WTF—are hosted by pretty dynamic (though extremely different) personalities: Ira Glass and Marc Maron, respectively. One could argue about the success of those podcasts minus their hosts. This can be both a positive and a negative thing, however, if you are a great writer but a less than exciting presence on the microphone. But with podcasts, unique voice or personality are not generally at the mercy of brevity. One of the main benefits of blogging is its visual nature. This makes it perfect for presenting instructional information that can be accompanied with images or infographics. You can also combine video and text to provide instructions that are easily referenced. I personally prefer text instructions, finding them easy to scan to help me quickly get up to speed or complete a quick task. Only when I am dealing with something more complex—tying a bow tie is one good example—would I refer to an actual video. With a podcast, you are going to have a hard time providing good instructions; with easy access to all forms of visual media, why bother? As I alluded to above, another benefit of written content (especially if it is well-written) is its ability to provide a reader with scannable information that allows a user to quickly determine whether or not the answers they need are contained within the content. Podcasts can provide you with descriptions about the topic being discussed, but most times you aren’t able to clearly see how the episode will play out or what actual subjects will be explored. For instance, a podcast may contain great insight about dealing with a particular aspect of responsive design that is really relevant to a project you are currently struggling with, but it may appear 25 minutes into a podcast that has really missed the mark for you up until that point. With written content, a heading or bullet list may have caught your eye immediately. There are no headings in a podcast episode. In the end, it goes back to a point I frequently try to make in this blog, which is using different platforms to reach different audiences. One of the most interesting aspects of podcasting has been its longevity while remaining more of a niche platform. In my initial podcasting post, I mentioned that podcasts are great for attracting a very dedicated, even if small, audience. This is definitely something to consider when deciding when a podcast might be better than a blog. Are there subjects that your agency covers that have a very strong but small audience, where the information they are demanding would work in an audio format? The FBI, for example, produces several podcasts/radio segments related to various law enforcement topics. You should also consider the age range of your key customers for the particular information you are trying to share. It may be wise for FAFSA to consider podcasts, while the Administration on Aging (AoA) might be better off focusing on text-based content. 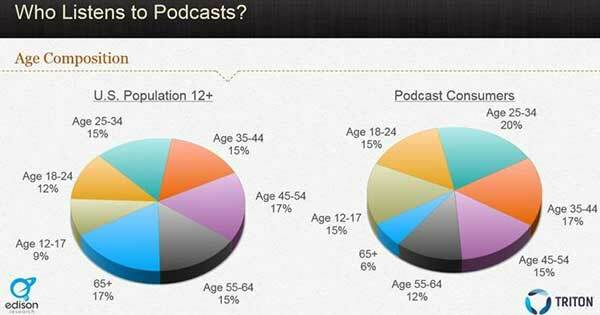 The demographic for podcast consumers is fairly distributed across age ranges, but the 65+ age group is the lowest percentage while the 25-34 age group is the highest. It always makes sense to produce content that best fits your audience’s lifestyle. One of the final things to consider is level of effort involved in producing the two types of content. Even if you have determined that your audience may be receptive to podcasts and you have content that is a solid fit, podcasting requires extra equipment that may not be easily accessible to some agencies. Typically more than one staff person. Depending on budgets, any one of the above can be significant obstacle to the proper launch and ongoing production of a podcast. As with any new initiative, it makes sense to explore and secure resources as part of the initial planning phases of the project. So, as is often the case, the final answer to whether you should stop writing and start podcasting is: it depends. It depends on your particular audiences and the type of content you generally need to distribute. Is podcasting a good fit for your audience? 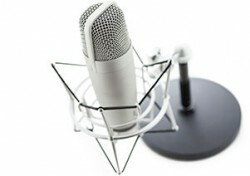 Do you have the resources to follow through and sustain a long-term podcasting effort? One thing I think has become clear, however, is that podcasting is certainly not easier than writing. For many there are potential insurmountable barriers to getting a podcast launched, while starting a new blog or adding written content to an existing site is fairly straightforward. As podcasts’ popularity continues to rise and they become more and more mainstream, I predict a resurgence in government podcasting. However, they will remain only another tool along with written and video content to reach and assist as many customers as possible.You’ve just finished reading the latest article from our Monday column, The Content Corner. This column focuses on helping solve the main content issues facing federal digital professionals, including producing enough content and making that content engaging. « How Will You Celebrate Customer Service Week?